Because of the variance of siding materials, the ways to compare them number quite a few. For the most part, the prominent siding materials (vinyl, metal, wood, engineered wood, stucco) are all sound. They carry advantages and disadvantages depending on what you need and where you live. To determine which material is the best for your home, consider performance, cost, maintenance, and versatility. These are generalizations about these siding materials, so remember the best person to ask is a siding contractor. 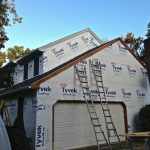 Need to find a pro for your Siding Installation? 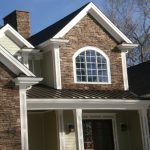 Stucco siding is the most efficient siding product. The others are not far behind, but this material became popular and wide-spread in the southwest because it kept the cool air in the house even as the sun beat down. If you’ve ever lived in a brick home you understand how easily bricks heat up then warm the home, which can be murder on a summer day in the south. Stucco is thick enough that it repels the heat from getting in and cool air from getting out, and just the opposite in the winter. Metal is very efficient, but not that far ahead of vinyl. Both metal and vinyl are excellent insulators, not to mention vinyl comes in a very high performance breed that carries extra insulation. However, metal outperforms vinyl in extreme cold. Wood is a solid fourth, not inefficient or non-protective, but manufactured siding products have an edge in outperforming natural ones. Engineered Wood holds up well to extreme temperatures, humidity & moisture. Special waxes & resins coat the wood to help resist moisture intrusion. Metal siding & engineered wood are extremely durable, but vinyl has had no problem keeping up in recent years. Metal can be especially durable if it gets an occasional coat of paint, which will protect it even further. As long as vinyl is not punished too often, it can last for decades just like metal. Wood needs steady treatment, but eventually will need to be replaced. If stucco can stay out of harm’s way and have holes patched immediately, then it can last 20-25 years. 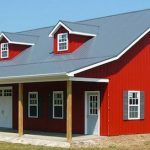 Vinyl siding and aluminum siding are pretty equal. Vinyl won’t dent or scratch or need to be repainted since it is one solid material, the same color throughout. And aluminum outperforms every other material close to the ocean because it can resist the corrosiveness of the salty air. While vinyl may not need to be painted it often gets cracked, which is easy and quick to repair, but metal never breaks despite how easily it dents. If wood is treated routinely it will stave off water damage, dry rot, and insects, although as wood begins to dry over time it will begin to split and bow and allow more elements into small places. Engineered Wood stands up well to insects, rock damages & heavy winds. Over time, engineered wood outlasts wood in terms of maintenance and damages. 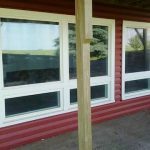 Siding Materials: Because vinyl siding has so many different styles and models, you can spend less on vinyl siding than on any other material with engineered wood becoming more affordable. Metal siding is the next cheapest (including aluminum siding prices), then wood siding, and finally stucco. While the prices vary depending on the model, availability, market and season, vinyl can come in as cheap as $4/sq. ft. whereas cedar siding can be as much as $8/sq. ft. 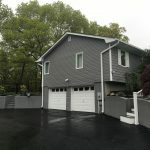 Installation: Metal siding is the cheapest to install, especially in the cases where the metal siding can be applied right over the existing siding. In this instance there is no siding removal fee. Also, metal siding is applied with a hammer and cut with tin snips, which keeps the tools and the process very simple. Vinyl installation rivals metal but requires a few more tools to get the sheets to hang properly and seam together right. Wood siding contractors have to align the grain, but this only adds a small amount of time. However, wood is not uniform and it can sometimes be a fight to get the wood to cooperate, although engineered wood has become a cheaper, more durable alternative. Most of stucco’s expense lies in the installation. The materials are basically small slats nailed to the house, wire mesh over that, and then the concrete concoction. Long-Term Savings: The right siding can help to save more on energy bills and recoup the extra expense over the cheaper options. 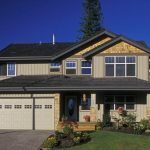 Given that each siding material is performing at its best and installed properly, stucco is the best choice for efficiency. It is the best insulator, especially in the warmer climates. Metal siding outperforms the rest, and does particularly well in the colder climes. Vinyl & engineered wood are close behind metal, nearly a wash in savings year to year, but over the long haul metal will out perform vinyl. Wood siding brings up the rear. Vinyl siding needs to be maintained less often than the others. 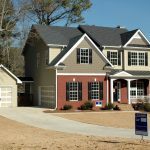 Typically, after you have vinyl siding installed, you can forget about it. 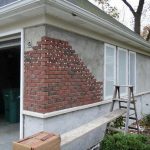 Because stucco siding is brittle, there will be many holes to patch. Like metal, if there isn’t much traffic from children or pets or wildlife, it will last a long time unless a deluge of hail dimples it like a golf ball. Holes need to be fixed immediately because if water is allowed to get behind the stucco it will ruin the walls. 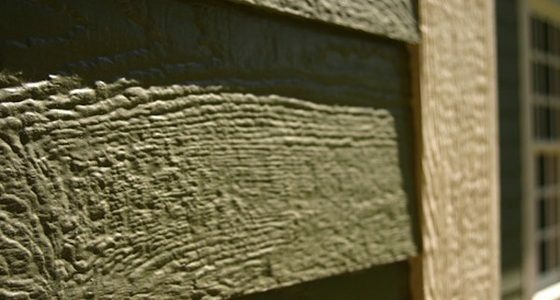 Wood (and it’s engineered counterpart) siding needs very little, if any, daily maintenance. It won’t break, never dents, and scratches just blend right in. However, in order to keep the wood in good condition it needs to be treated every 4-6 years depending on how harsh the elements are in your area. Treatment can run from $800-$2,500 depending on the process and the size of the home. Vinyl & engineered wood have the most options as far as plank size, color, and texture. Wood can be detailed in many different fashions, comes in shingles or planks, logs or tongue-and-groove, and can be stained nearly any color. Metal siding can be painted, which can help protect it, and stucco can be painted. Although stucco and metal really only vary in paint color. What kind of siding has worked best for you? 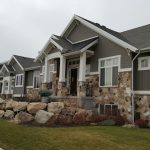 Have there ever been huge problems with one type of siding you’ve had on your home? I have aluminum siding. Would like a free estimate on painting it. Thank you. Check out our Cost Guide for estimated figures. And use the orange buttons to contact a professional for a specific quote. I need help with the replacement of a bathroom door and a kitchen cabinet door. I hope you can help.